The 7 series will pilot BMW's self-driving technology. BMW will dispatch a fleet of autonomous vehicles to U.S. and European cities in this year’s second half, the next step in its partnership with Mobileye and Intel to introduce fully self-driving vehicles by 2021. 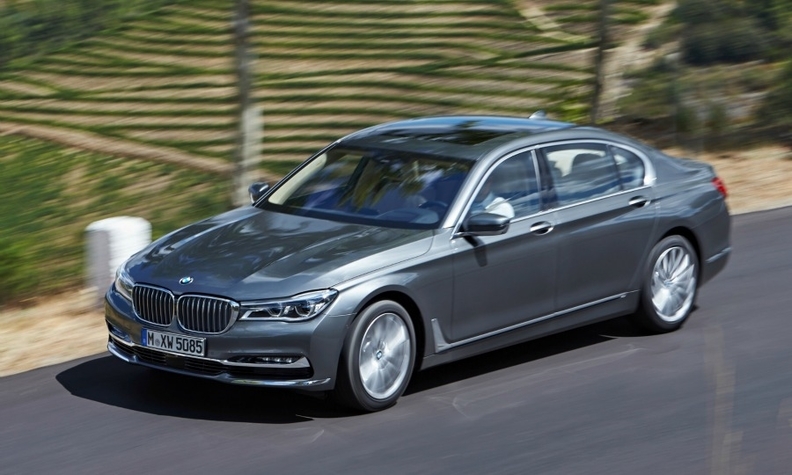 The automaker will put 40 of its 7-series sedans on the road and train them to drive in urban areas, Klaus Froehlich, BMW’s head of development, said in an interview. The goal is to apply the gathered data toward producing the iNext, which will supplant the 7 series as the BMW brand’s flagship model and be capable of full autonomy four years from now. Automakers and technology companies are rushing to form partnerships to compete against the likes of Alphabet’s Google, which has clocked 2 million self-driving miles on public roads, and Tesla Motors, with 1.3 billion miles of data from Autopilot-equipped vehicles. BMW is appealing to other carmakers to adopt its approach to help shoulder research costs, speed development by sharing data and ensure they don’t become also-rans. Enabling vehicles to navigate without human input through cities requires them to see and understand complex situations more like people do. Jerusalem-based Mobileye brings expertise in cameras that model the surroundings while Santa Clara, California-based Intel wields computing capabilities to power artificial intelligence. The companies released details Wednesday in conjunction with CES 2017, the consumer-technology show in Las Vegas. Carmakers could participate by buying sensors to install in their cars, or go deeper with equipment that helps crowd-source data from an autonomous-vehicle fleet, said Kathy Winter, vice president and general manager of Intel’s Automated Driving Division. While Munich-based BMW’s main target is individual car owners, the technology will be available for ride-sharing fleets as well, Froehlich said. Auto manufacturers are pushing into so-called mobility services like car-sharing and ride-hailing to counter alternatives to private vehicle ownership. BMW, which co-owns the DriveNow car-sharing venture with Sixt, will be jockeying for consumers’ attention against the likes of Uber Technologies, Ford Motor and Volkswagen Group, among others. Google, which separated its self-driving car project into a new unit called Waymo last month, plans to start a ride-sharing service using semi-autonomous minivans made by Fiat Chrysler Automobiles as soon as the end of 2017. VW is rolling out Moia, a new division that will focus on ride-sharing. Revenue from car-sharing is projected to surge more than sevenfold to 4.7 billion euros ($4.9 billion) by 2021, according to a study by Boston Consulting Group Inc. Robo-taxis will make up 40 percent of automotive profits by 2030, more than selling vehicles to individuals, according to consulting company Roland Berger.